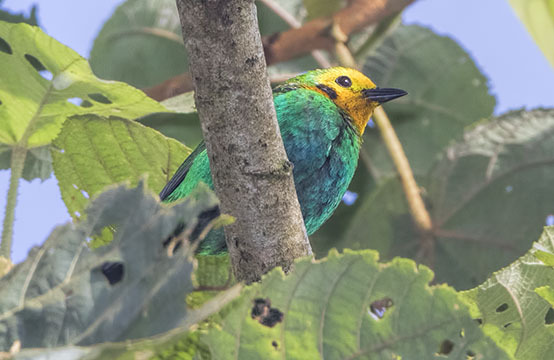 Like the gold-ring tanager, the multicolored tanager is a Colombian endemic that is much sought-after by birders. This is a pretty poor image but it's a free-living bird, not attracted to a feeder (where most of the photos of this species are taken -- maybe next year! ), photographed in the Western Andes above Cali.